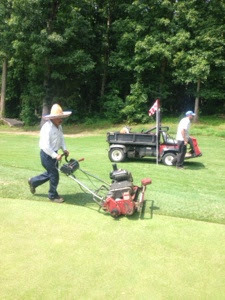 We use the roller drum of the tee mowers to roll down the turf after we have edged it. 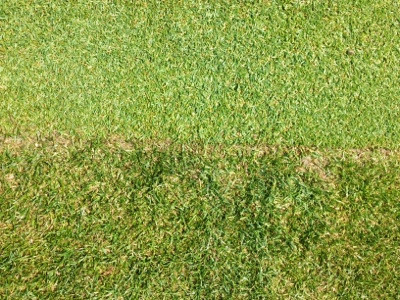 This prevents scalping of the turf the next time it is mowed and reduces the edges from drying out during the day time. 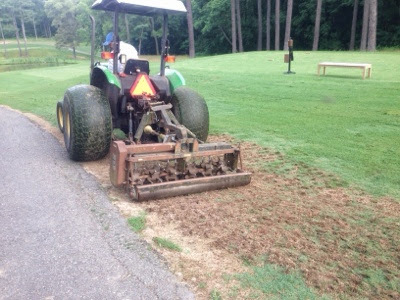 Today we finished installing greens fans around 10 greens. We have added 2 new fans this year to 3 and 16 green. 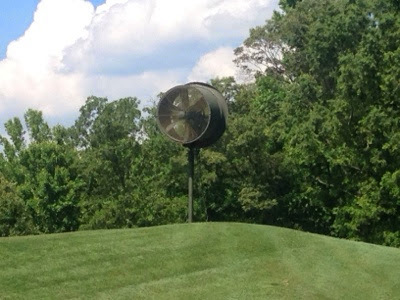 The picture below is the fan located behind 16 green. 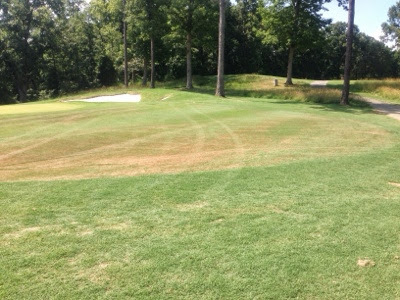 Here is a picture of number 11 approach that was overseeded with rye for winter color and playability. 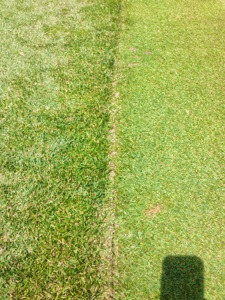 The 95+ temperatures are putting a hurting on the rye grass. 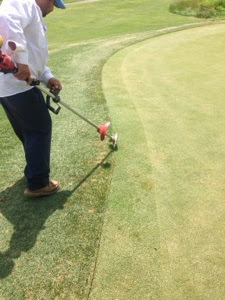 This is the normal process and most all areas will be filled in and covered by the first part of July.